Hand Scraped Ember Acacia T-Molding is used to transition two floors of the same height typically installed between rooms or in entryways. This molding will provide seamless look when transitioning between flooring surfaces and in doorways. Coordinates with laminate flooring providing beautiful finished look. Buy online Zamma Hand Scraped Ember Acacia 3/8 in. Thick x 1-3/4 in. Wide x 94 in. 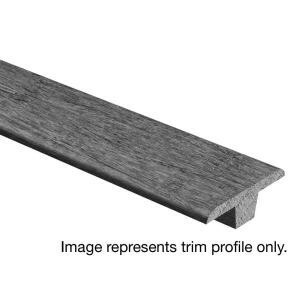 Length Hardwood T-Molding 01400C022662, leave review and share Your friends.